RISEBA professional Bachelor’s programme in Audiovisual Media Arts is designed to produce highly qualified, competent and competitive audiovisual specialists and develop a new type of entrepreneurs who can achieve the symbiosis of business and creative thinking. 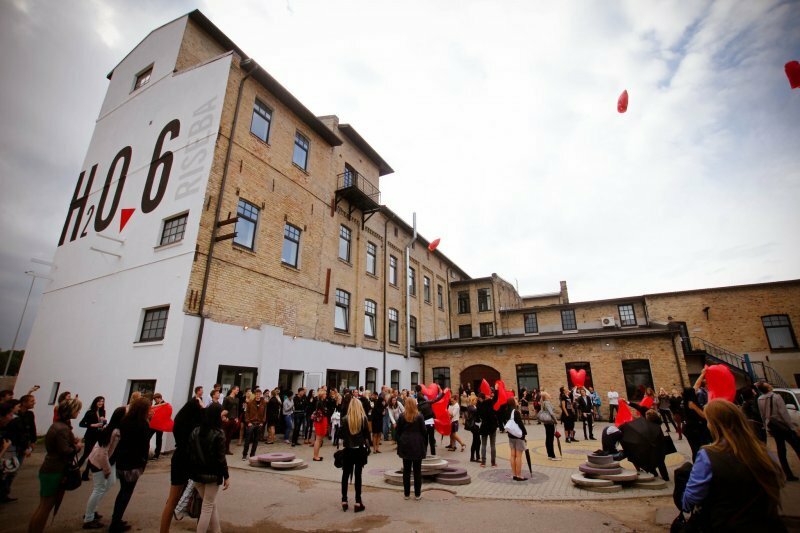 Admission requirements: Centralized examinations in Latvian language and a foreign language and creative interview. This study programme is targeted at young people with secondary comprehensive education and those who want to attain a professional qualification in the field of Audiovisual Media Arts related to television, Internet media, cinema and new media. The programme can also be recommended to those already working professionally in the audiovisual field but willing to earn a university degree, obtain new knowledge and develop hands-on skills. RISEBA Bachelor’s programme in Audiovisual Media Arts offers a well-balanced mix of theory, methods and practice in the audiovisual field and supported by the latest technology and advanced equipment. Study courses are taught in Latvian, Russian and English. Upon successful completion of the programme, students receive both a Bachelor's degree in Audiovisual Media Arts and one of four professional qualifications, which open up possibilities for a wide range of career opportunities. TV and film producer, television director, director of photography for television, and script writer are just few of many positions held by programme graduates in TV companies, cinema and independent producers associations, Internet and other new media. Theoretical lectures are usually held in auditoriums. All auditoriums are equipped with computers and projectors for lecturers’ and students’ presentations. The biggest auditorium is also equipped with large screens in order to provide better visibility. Students learn the crafts of camera operator and lighting in a 300 sqm big video studio. 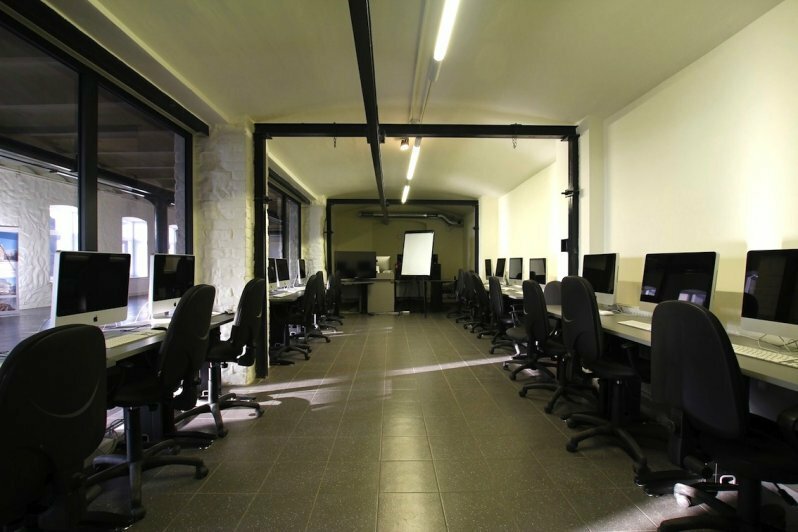 Students can also take advantage of this studio for their own academic projects outside the lectures. Studio is equipped with a full featured black and green screen backgrounds and floor. Cameraperson’s special machinery, such as camera crane and steadicam, is also available. In 2013/2014 academic year studio will be equipped with a stationary lighting system. 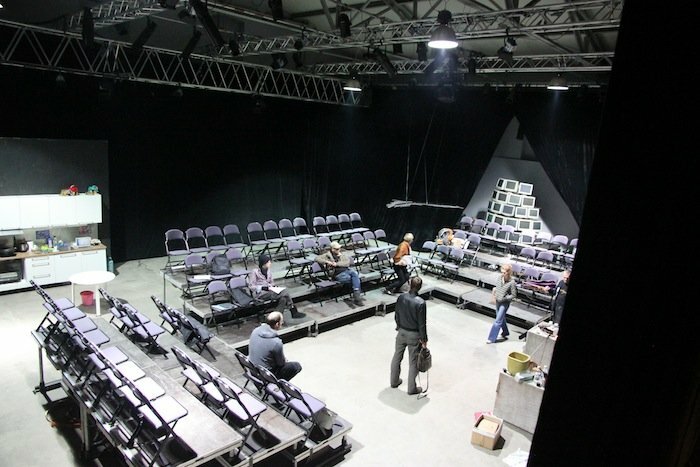 Next to the studio there is a green room, storage for costumes and stage property, and a recording studio. Architecture and Media Centre H2O6 has two big and two small editing studios. 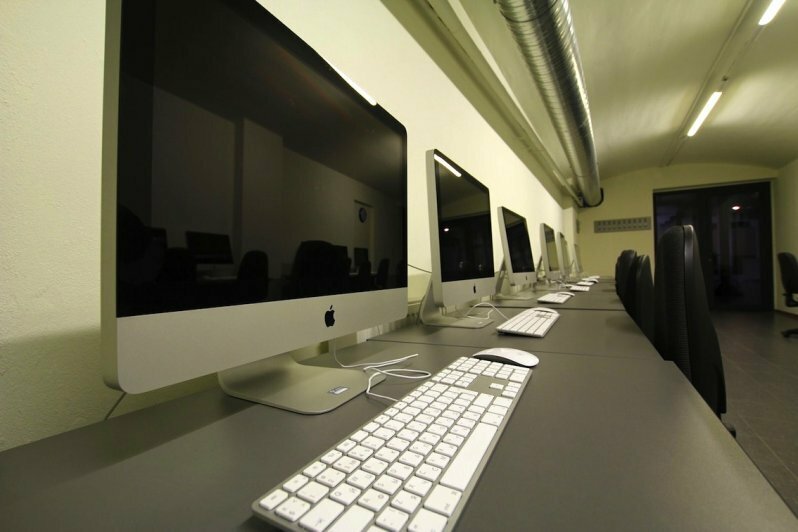 Both big editing studios are equipped with 15 – 20 iMac desktops. 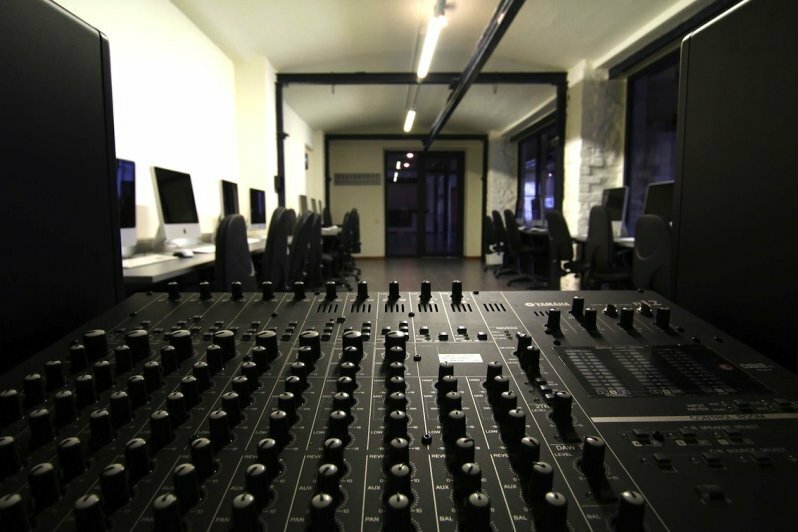 In these studios audiovisual editing lessons and practical workshops are being held. Small editing studios are meant for students’ unsupervised work after the lectures. All computers for video editing are equipped with Final Cut Pro, Adobe Creative Suite Production Premium, Logic Studio and other editing software. Why RISEBA, why Audiovisual Media Arts? a wide range of discounts. * RISEBA reserve rights to make adjustments up to 20 % of the programme content. For more specific information about the study course qualifications, please contact programme director. 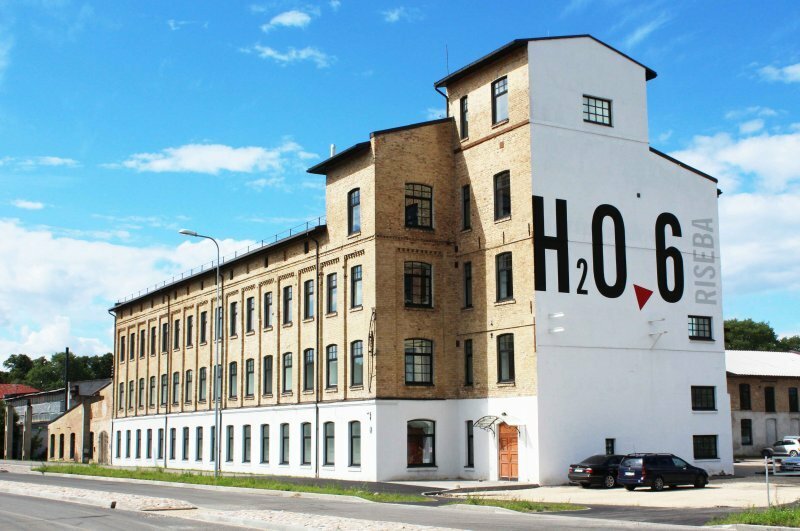 You can reach Architecture and Media Centre by buses No 3 or 13 (direction Bolderaja).